Sooooo, I meant to share this post on the first day of Winter, but didn't actually get it up in time, thanks to some health issues. But, better late than never, right?! I am always so happy when Winter rolls around. It brings Christmastime, a New Year, and cold weather that's perfect for snuggling under a blanket with a warm drink and a good book. This is my most favorite season ever!! And with a new season comes a new seasonal TBR! I started making these TBR's earlier this year, and I really love how they push me to read books that I've want to read for a while, but never had time to get to. So, here are just a few books I'm hoping to read this Winter!! 1. 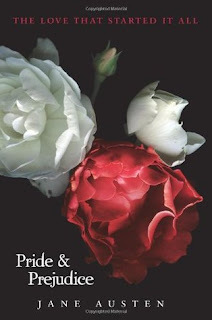 Pride and Prejudice by Jane Austen - Pride and Prejudice is one of my most favorite books, and I want to start a new tradition of reading the book every year. So it's one of the first books I plan to start this year!! 2. The Fellowship of the Ring by J.R.R. 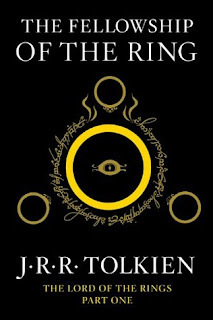 Tolkien - I am stepping WAAAAAY outside my comfort zone for this book, as I've never really been interested in it, but I wanted to give it a try to see how it goes! I'm hoping to watch the movies as well. 3. 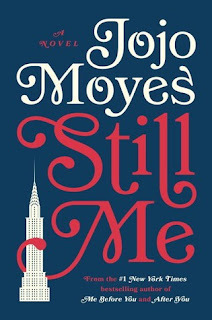 Still Me by Jojo Moyes - I am SO excited for this book to release! I just recently finished my re-read of Me Before You, and I'm planning to start re-reading After You soon. Still Me will be released on my birthday, and it will be the best gift ever! 4. 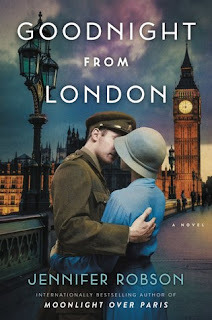 Goodnight from London by Jennifer Robson - I've been meaning to read this book since it was released earlier this year, and I still haven't gotten around to it! It sounds awesome, and I can't wait to check it out. 5. 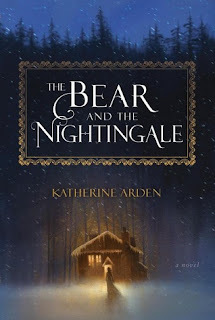 The Bear and the Nightingale by Katherine Arden - I have to admit, I'm super curious about this book! I've seen a lot of talk about it lately, and I can't wait to check it out. 6. 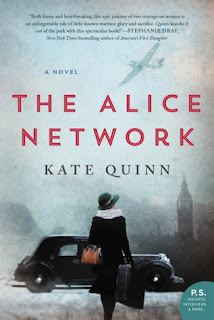 The Alice Network by Kate Quinn - This is yet another book that has been on my TBR for way too long! I literally pass by my copy of it every day, and I still haven't picked it up. I plan to fix that soon! 7. 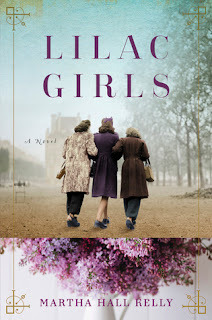 Lilac Girls by Martha Hall Kelly - Lilac Girls is another book that I've been meaning to read since it was released! I was gifted a copy for Christmas, and I'm super excited to finally read it. 8. 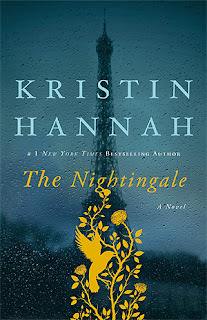 The Nightingale by Kristin Hannah - This book has been on my TBR for FOREVER! I think I'm the only person I know that hasn't read it. I can't wait to dive into it. 9. 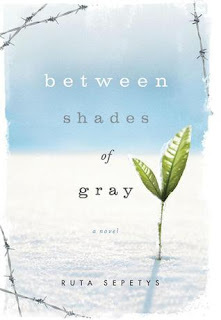 Between Shades of Gray by Ruta Sepetys - Ah, yet another book that I've been meaning to read but haven't got to. The last book I read by Ruta I really loved, and I'm hoping I will this one as well! 10. 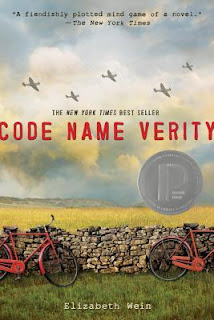 Code Name Verity by Elizabeth Wein - Another book that has been on my shelf for way too long! I've heard nothing but good things about this book. I'm hoping to read it soon! 11. 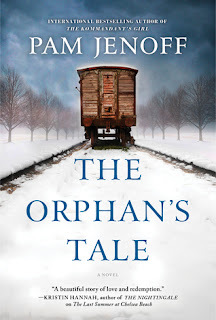 The Orphan's Tale by Pam Jenoff - I actually had this book from the library earlier this year, but didn't have time to read it before it had to be returned. I MUST read it this year! 12. 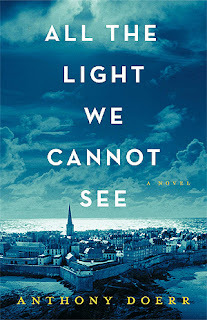 All the Light We Cannot See by Anthony Doerr - Yet another book that I feel like everyone has read but me. I'm super curious about this one! 13. 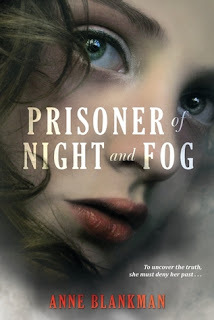 Prisoner of Night and Fog by Anne Blankman - This is yet ANOTHER book that I've had on my TBR for forever! Super curious to dive into it! 14. 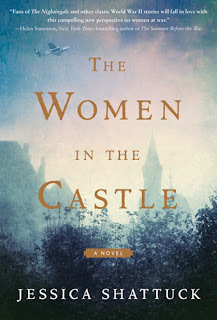 The Women in the Castle by Jessica Shattuck - This book was released earlier this year, and while I tried really hard to work it onto my TBR, I just couldn't make time to read it. I'm hoping to get to soon! 15. 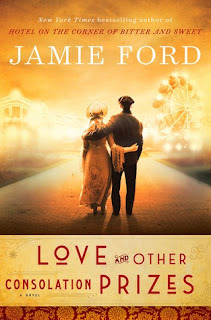 Love and Other Consolation Prizes by Jamie Ford - I have not read anything by this author before, but I have one of his previous books on my TBR for a while now, and I'm super curious about it and this one! 16. 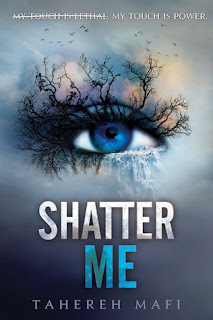 Shatter Me by Tahereh Mafi - I'm starting my re-read of the Shatter Me series this winter, in preparation of the new book that's releasing in March that I'm also super curious about. 17. 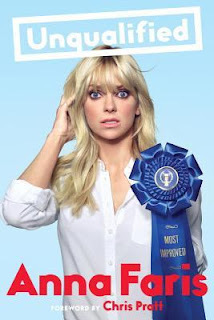 Unqualified by Anna Faris - Ok, Anna Faris is too cute, and I'm super curious about her book! I have the audio for it, and I'm planning to start it soon! 18. 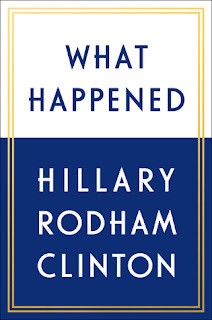 What Happened by Hillary Rodham Clinton - What Happened is the next pick for my book club, and I have the audio for it as well! Super curious for this one. There you have it, friends! Just a few books that I've been meaning to read for too long, that I hope to finally read this Winter. These do not include new releases and other books on my monthly TBR's, but I'm hoping I can stay caught up! What books are you excited to read this Winter? ?